KGI Securities analyst Ming-Chi Kuo, who has sources within Apple's supply chain in Asia, has issued a research note today that casts doubt on rumors about a second-generation iPhone SE launching in the second quarter of 2018. Kuo believes Apple doesn't have enough spare development resources to focus on launching another iPhone, with three new models already in the pipeline, including a second-generation iPhone X with a "much different" internal design, a larger 6.5-inch version dubbed iPhone X Plus, and a lower-priced 6.1-inch iPhone with Face ID but design compromises like an LCD screen. With three new models in the pipeline for the second half of 2018, we believe Apple may have used up its development resources. Also, we think the firm will do all it can to avoid repeating the mistake of a shipment delay for the three new models. As such, we believe Apple is unlikely to have enough spare resources to develop a new iPhone model for launch in 2Q18. If there really is a so-called iPhone SE 2 on Apple's roadmap, Kuo expects it will have few outward-facing changes. He predicts the device would likely have a faster processor and a lower price, rather than iPhone X-like features like a nearly full screen design, 3D sensing for Face ID, or wireless charging. 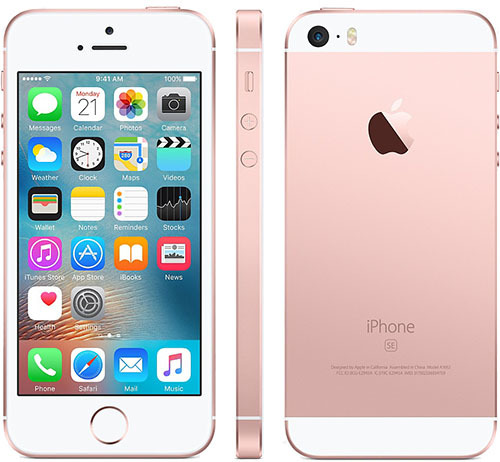 There have been many rumors about Apple launching a new iPhone SE in 2018, with most of the sources based in Asia, including research firm TrendForce and publications like the Economic Daily News. The latest rumor suggested a new iPhone SE with wireless charging could launch in May-June. Apple hasn't fully refreshed the iPhone SE since it launched in March 2016, but it did double its available storage capacities to 64GB and 128GB last March. It also dropped the device's starting price to $349 last September. Wow, resources is one thing I didn't expect apple to lack. Nearly $1 trillion market cap, can't make more than four phones. Insanity. An iPhone SE 2 would do! iPhone X is an scam. I am keeping mine to remind me I am not inmune in doing very stupid tings in life. The iPhone X is a compilation of things you do not need that you already have... but worse. I disabled face ID.... it takes too long and is faster to insert the code any way. The button on the right side has to be combined with the buttons on the left and is confusing, you want to shut down the phone and you end up taking a screen shot and having to click 2 more times to delete that picture and shooting down the phone again. They are not easy to tell which one is what with your fingers. The only "good" thing is the camera compared to other iPhones BUT Samsung is way superior, that means that for $1000 we are not getting the best on the market at all. Then... is made of glass, it will break. My iPhone 5 lasted until last December, never had a broken glass and I stopped using because Apple like to sabotage their own technology to make us buy new overrated, crap. And that was at a glance. Any of the applications running on the X could run on the 5 with no problem. No need for the such new processing or anything, maps still maps, yahoo and google too. Get the iPhone SE 2, it is smaller, if it has aluminum frame is way better! And that is it. I'm happy with a newer processor. Why does this guy keep getting quoted as a reliable source. Every time I read one of these articles the guy is wrong or completely absurd. He might get 1 out of every 20 prediction right. MacRumors would be better off quoting one of us. Makes sense - stick in an A11, updated camera and 2nd gen TouchID and get it out the door. The whole point of the SE was that because it reused the iPhone 5s frame it had very low development costs so thinking Apple would 'develop' a new phone to be the low-end didn't seem right. I'm sure it's possible that they could make the SE2 using spare iPhone 6(s) bodies and screens, but this might pull too many people away from the high end phones. Slightly better screen, new processor, same battery life & headphone jack and cheaper? Yes, please. If there are minor improvements to the screen and new internal(s) while everything else stays the same, I'd jump. Why would a revamped iPhone 5 monopolize development resources? Would be a shame if true. Not all of us want gigantic phones. The SE is a terrific form factor, and it doesn’t need much to remain compelling (A10 or 11, new camera, Touch ID 2 should do it. 3D Touch would be great too).